Natural rubber comes from the tree Hevea brasiliensis which is native to South America. Explorer Henry Wickham brought seeds of this rubber tree which were planted in England, Sri Lanka, Indonesia, Singapore, and Malaysia. Southeast Asian countries are now the main producers of natural rubber. Nearly 23 million tons of natural rubber is produced globally while synthetic rubber accounts for 60 percent of produced rubber. Rubber is also eco-friendly and recyclable, which is great since over 250 million tires are discarded yearly. Also known as TFE/P, this rubber is a type of fluoroelastomer made for specific applications and with specific properties. AFLAS® rubber is used mostly for the various parts associated with the oil-drilling equipment. One of its most unique characteristics is that when developed at very low properties – down to -65ᵒ Fahrenheit – it remains functional because it becomes leathery in its consistency. This is significant because, with many other types of rubber, low temperatures can make them very brittle and easy to shatter. Butyl rubber is also called Isobutylene-isoprene, or IIR, and it was developed in the 1940s as a synthetic rubber. 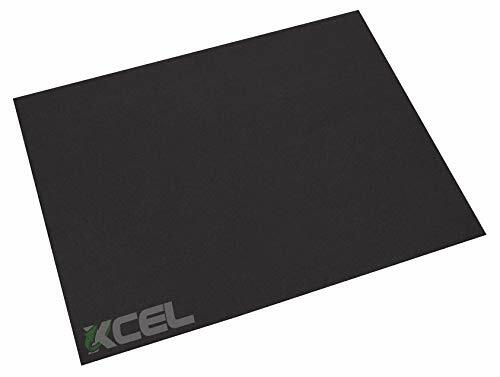 Because of its low gas permeability and its low resilience, it is perfect for products such as high-pressure/vacuum-sealing applications, vibration damping, and shock damping. It is very resistant to ozone, heat, and weathering, and you can even use it to dilute both alkalis and acids. However, it is not a good product to use in petroleum- or mineral-based fluids, and you can often find it in seals, O-rings, bottle closures, diaphragms, liners, gaskets, inner tubes, and even speaker surrounds. Chloroprene rubber, or CR, is a very familiar type of rubber that is commonly known as Neoprene®, which is manufactured by DuPont. It is on oil resistant synthetic rubber with moderate resistance to petroleum-based fuels and oils. In fact, if you’ve ever purchased a wrist or knee brace, it is very possible that it was made of CR. It is a good all-purpose type of rubber, in part because it has a good balance of chemical and physical properties. It does better than natural rubber when it comes to resistance to heat, ozone, and oil, but it also has a lower level of physical properties. Applications for CR include seals, gaiters, belting, cable jackets, and various types of coated fabric. In addition to its reasonable price, CR absorbs water slowly and its flame resistance is very good. It has good resilience and is one of only a handful of rubbers that self-extinguishes. Although some types of CR can crystallize and harden when stored, they always thaw when heated. 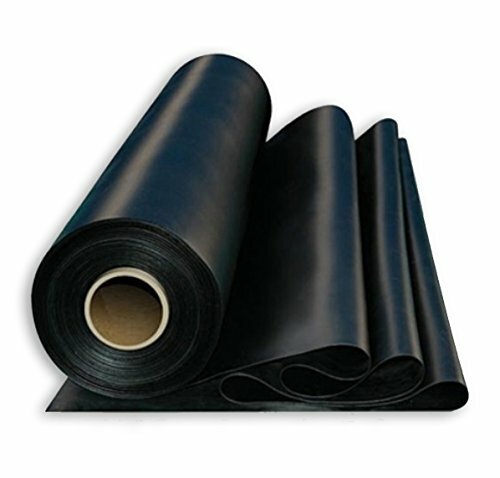 EPDM stands for ethylene propylene diene monomer, and it has great resistance to ozone, chemicals, and even heat. 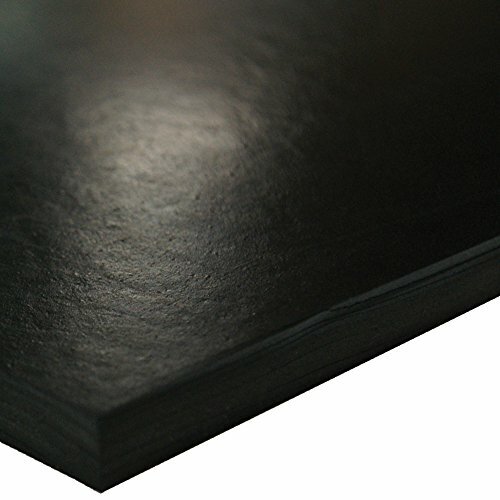 EPDM also has good resistance to polar fluids and has great physical properties. With the exception of exposure to di-ester lubricants and petroleum-based fluids, EPDM is a good type of rubber to make items such as cable connectors, insulators, gaskets and hoses, seals, accumulator bladders, and diaphragms. There are also grades that are available as “food quality” mixes for both the food and pharmaceutical industries. Epichlorohydrin, or ECO rubber, is very similar to nitrile rubber when it comes to its properties, only with better resistance to petrol, heat, and oil. ECO has low gas permeability and low-temperature flexibility, not to mention excellent resistance to ozone, alkalis, and acids. Of course, it is difficult to use ECO rubber as a sealing material because of its poor compression set limits, and since it tends to corrode metals, your tooling costs might be high and your metal-bonding applications could be limited. ECO rubber is used in vehicle fuel systems, rollers, bladders, and diaphragms. Fluoroelastomers are also known as fluorocarbons, and the most notable brand is the Viton® brand. This type of rubber can take temperatures of up to nearly 400ᵒ Fahrenheit, and almost 600ᵒ Fahrenheit if used for short periods of time. They are resistant to weathering, ozone, oils, and most chemicals as well. However, Viton® rubber is also very expensive, so it is not suitable for all applications. Most applications that use fluoroelastomers include seals, gaskets, accumulator bladders, diaphragms, and O-rings. The Viton® brand is part of the DuPont Company. Fluorosilicones can handle a wide variety of temperatures, from 140ᵒ Fahrenheit to nearly 400ᵒ Fahrenheit, which is one of the reasons they have great resistance to ozone, weathering, and di-ester lubricants. Their oil resistance is moderate, but they have very good electrical strength. They are expensive to use in many applications, but they do make good diaphragms, gaskets, seals, O-rings, hose linings, and fuel system components for the aerospace industry. Hydrogenated nitrile rubber, or HNBR, can withstand very high temperatures and is resistant to things such as hot water, steam, ozone, and sour oil and gas. With a medium price, HNBR does have some limitations. It has poor flame resistance and poor electrical properties, but it does well when making products such as diaphragms, accumulator bladders, and gaskets and seals. These rubbers are mostly used in the oil and gas industries. Hypalon® rubber is a brand name for chlorosulphonated polyethylene, or CSM, and it is a great type of chloroprene. It has very good low gas permeability, better heat aging, and great chemical resistance compared to other types of rubber. CSM is weather and ozone resistant, and it has good electrical properties as well. CSM should not be used in certain applications because of its poor fuel resistance and its poor compression set, including dynamic sealing applications. 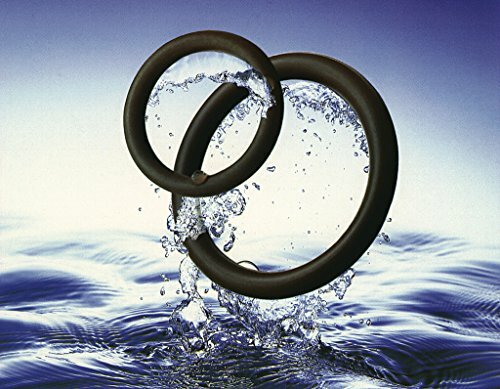 The most common applications for CSM include various static seals, as well as components which tend to go through hot, humid weather or exposure to things such as hot gases and liquids. Kalrez® rubber contains perfluoroelastomer parts and seals, and they resist over 1,800 different chemicals. They are stable in temperatures of up to 620ᵒ Fahrenheit, and they have advanced properties that reduce the costs associated with operations and maintenance, improve safety, and help maintain the integrity of the seals. They provide reliable long-term services with various electronic- and industrial-grade chemicals and this type of rubber is also used in the pharmaceutical, aerospace, and oil and gas industries. 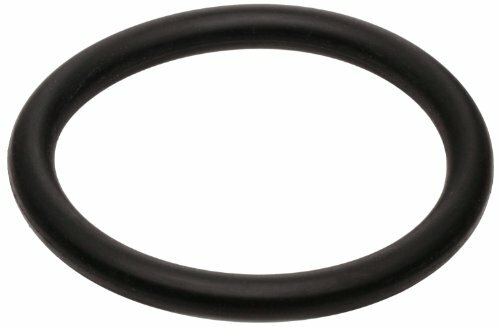 Most of their products consist of O-rings in either standard sizes or custom shapes. Natural rubber is made from the sap of a tree grown in renewable plantations, and it is fully biodegradable. Since the early 1900s, natural rubber has been used for commercial purposes, and it has a very high resilience compared with all other types. It has good fatigue resistance, tear strength and compression set and, therefore, it is great for dynamic applications at both ambient and low temperatures. Natural rubber is used with water and some dilute alkalis, acids, and other chemicals, and it is the preferable type of rubber for most aqueous applications. It is not suitable for oils and fuels with a petroleum base, but its most common applications include haul-off pads, tires, anti-vibration mounts, and drive couplings. It is also susceptible to ozone attacks unless it is combined with specific anti-ozone compounds. Nitrile rubber is formally called acrylonitrile butadiene rubber, and it was developed in 1941 as the first type of rubber that was oil resistant. With moderate physical properties and good abrasion resistance, nitrile rubber can have high or low acrylonitrile content, with the former having better oil resistance than the latter. Nitrile has low gas permeability and poor electrical properties and ozone resistance, as well as poor flame resistance. What all of these attributes mean is that nitrile rubber is not suitable for certain applications – for instance, those with polar solvents such as MEK. There are certain grades of nitrile rubber that can be mixed with PVC, improving its resistance to ozone, flame, petrol, and aging. Some of its applications include diaphragms, gaskets, hose liners, accumulator bladders, seals, and O-rings. Perfluoroelastomers, or FFKM rubbers are important because they can withstand temperatures of almost 600ᵒ Fahrenheit. At low temperatures, their use is limited, and they have poor physical properties as well. They are also very expensive but are used in parts such as accumulator bladders, O-rings, gaskets, and core sleeves, to name a few. Polyacrylic, also called ACM, is resistant to oxidation and hot hydraulic oil, as well as to weathering and ozone. Its resistance to water, acids, and alkalis, however, is quite low. Polyacrylic is used in vibration damping and is not very resilient in low temperatures. A common application for polyacrylic rubber is automotive transmission components which require resistance to hot fuel or oil. Polyurethane actually comes in two main types: polyether (EU) and polyester (AU). They are very resistant to ozone, petroleum-based oils and fuels, and oxidation, as well as abrasion. The physical properties of AU are a little better than those for EU, and with both of these rubbers, the electrical properties are good. AUs can be affected by high humidity and hot water, and they have low resistance to alkalis and acids. Because most polyurethanes have high damping, caution must be used with tire speeds of over eight miles per hour. Polyurethane rubber is commonly used in applications that include diaphragms, gaskets, hoses and seals, abrasion-resistant linings and coatings, haul-off pads, and even many tires and wheels. Perfect for both low- and high-temperature applications, silicone rubber boasts of great electrical properties and resistance to ozone attack and weathering. It is not, however, resistant to super-heated steam, and its physical properties are low, although they are retained at higher temps. It is not very resistant to petroleum-based fluids, and its gas permeability is very poor. It is also a very expensive type of rubber to use compared to other types. There are food-quality grades of silicone rubber that are FDA compliant and used in both the food and pharmaceutical industries. Silicone rubber is used in food and baking products, electronics, various medical devices, sealants, hardware products, and some home repair products. Also called SBR, styrene butadiene rubber is a very inexpensive all-purpose rubber. It is not as good as natural rubber when it comes to physical strength, low-temperature properties, and resilience, but fares a little better when it comes to resistance to abrasion and its heat-aging properties. SBR is nonresistant to fuel or oil, and it is also prone to weathering. This type of rubber is used in car tires, haul-off pads, drive couplings, and in the soles and heels of various types of shoes. Even though vulcanized rubber is made from natural rubber, it is a completely separate type. In its natural form, natural rubber is usually not good for commercial or industrial products. This is why the vulcanization process is often used; it improves natural rubber properties and converts the rubber into a more useful rubber type. Vulcanized rubber is less sticky and has great mechanical properties. It also comes in various hardness levels, which vary according to the amount of Sulphur used during the manufacturing process. A compound containing five percent Sulphur can be used for tire rubber, while one made with 25% Sulphur or more can make great bowling balls and even mouthpieces for saxophones. Other products made from vulcanized rubber include hoses and soles for shoes, to name a few. There are really no serious disadvantages to vulcanized rubber, except that in some circumstances it can be mildly toxic, such as when it is burned. In fact, this is essentially the only way vulcanized rubber is considered a liability, because other than burning it, there are no disadvantages to products made with vulcanized rubber. Synthetic rubber is made of various compounds and often includes no raw materials whatsoever. It is made mostly from petroleum byproducts. Synthetic rubber is used mostly in the automotive industry in products such as tires, hoses, and belts, as well as doors, windows, and flooring. When you compare it to natural rubber, synthetic rubber has great oil and temperature resistance. It is also capable of creating a product with constant quality. Natural rubber is made from latex, which is a compound derived from tropical plants. The natural rubber tree called Hevea brasiliensis is native to Brazil, but can also be found in Africa, South East Asia, and South America. Natural rubber is a polymer made from the sap of this tree, and after that sap is collected it is exposed to air under mild heat. Natural rubber is durable and coherent, and it became very affordable after Charles Goodyear developed a type called vulcanized rubber. Rubber flooring also comes in a variety of textures and designs, including those that look like wood or tile flooring. If you drop a metal object onto a rubber floor, it won’t make a lot of noise, and because most of these floors have a backing made of foam, cork, or even fabric, they are extremely comfortable when walking on them. They also keep people safe because they remain in place and don’t move around, and they have just the right thickness to reduce injuries or fatigue to your feet and legs. They are also extremely easy to maintain and usually require only an occasional mopping with a damp, not wet, mop. If you take care of your rubber flooring, it can last for 20 years or longer. However, these floors are generally not recommended for kitchens, because some of the few items that can stain the floors are oil and grease. Both the top and the bottom of the flooring is resistant to water and moisture, and in fact, many rubber flooring tiles are pretreated to make them even more water resistant, making them the perfect flooring for all types of locations. 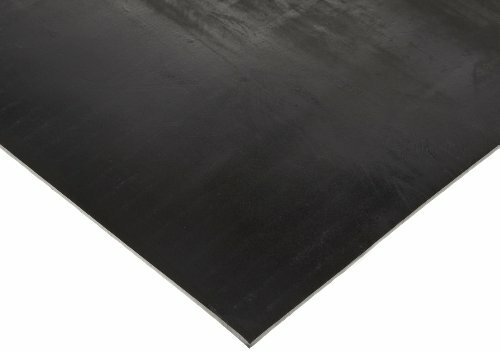 Even with their few disadvantages, rubber flooring is an excellent choice in most instances.